You can always use one more basket, right? How about a big, tough basket to handle all the gardening tools? Or a medium-size basket for all the things you don’t have a place for in the living room? A small basket by the door that can hold all the important stuff you’re likely to forget? 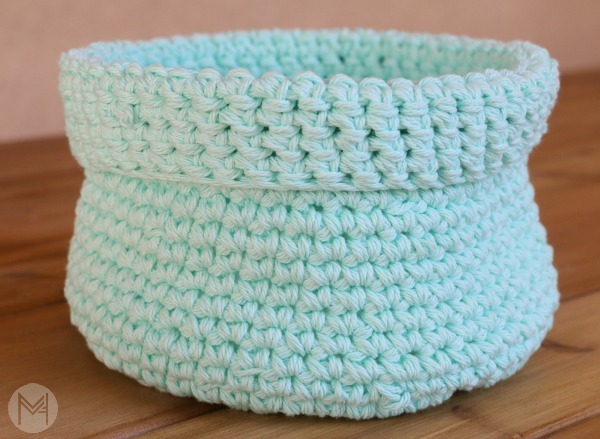 Whatever you need a basket for, this free crochet pattern has you covered. No need to find another pattern for different sizes, simply choose a larger size yarn and bigger hook and you’re good to go. You can try making these in different colors for a subtle ombre effect or grouping colors together like primaries, pastels, or jewel tones. The first basket is created with rope or cord, making it tough enough to withstand a lot of wear and tear. You’ll need a size “Q” crochet hook to go along with the more durable material. You’ll also need to know the following stitches: Magic Circle, slip stitch (sl st), chain (ch), and single crochet (sc). If you want to use cotton yarn, simply double up on the yarn to help retain its shape (the pattern suggests using an “L” hook if you decide to go this route). 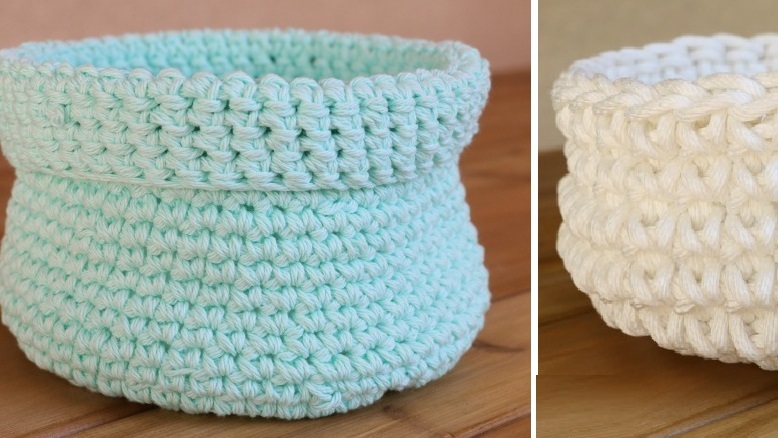 The pattern for the cotton yarn basket uses the same stitches as the first one. Along with the free pattern, you’ll find plenty of photos to help out with any trouble spots, as well as a video tutorial, all available on the same page for easy reference. There’s also a photo to pin on your Pinterest page. If you’d like to share your creation with the author of the free pattern, you can do so by adding and tagging her on her Instagram account or following her Facebook page and uploading photos to her wall. All pattern, photo and video instructions for making your own baskets can be found on Melanie K Ham’s website.